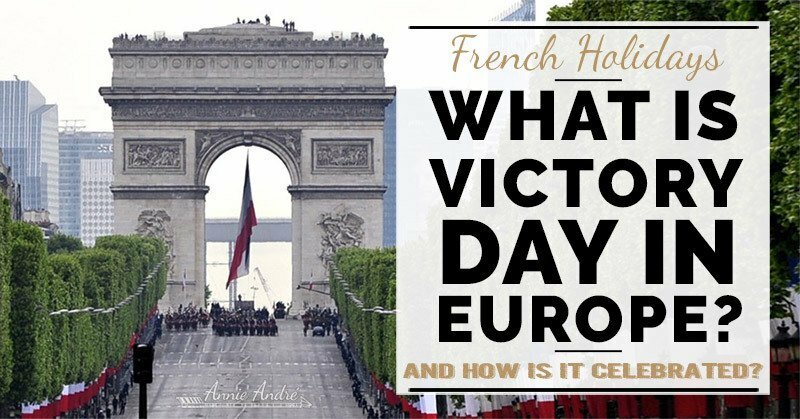 What Is Victory In Europe Day And How Is It Celebrated In France? 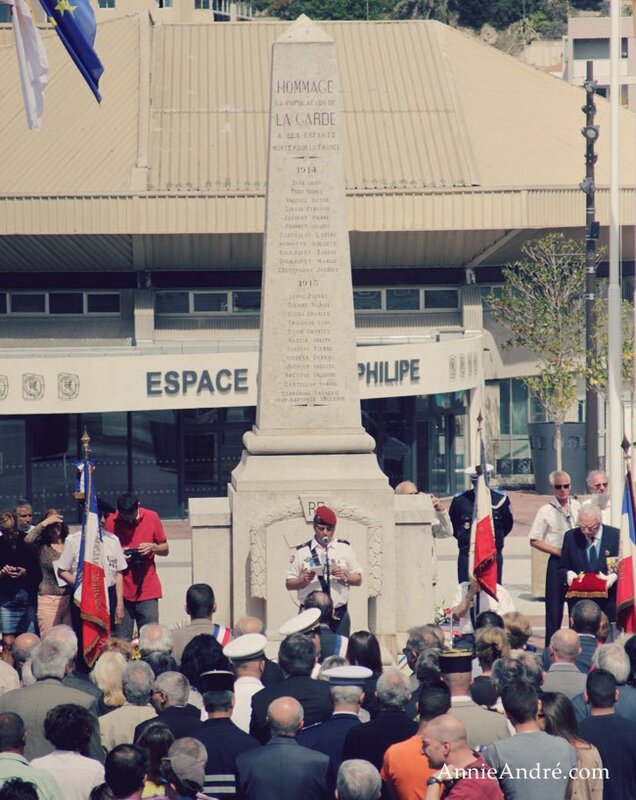 >> What Is Victory In Europe Day And How Is It Celebrated In France? 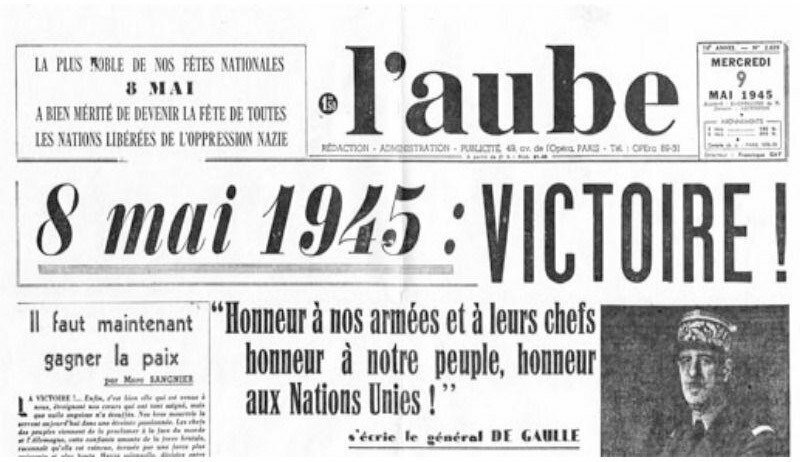 You may not have heard of Victory in Europe day, aka VE day or simply V day, but it’s an important day in history to Europeans, especially the French. But what exactly is it and how is it celebrated? 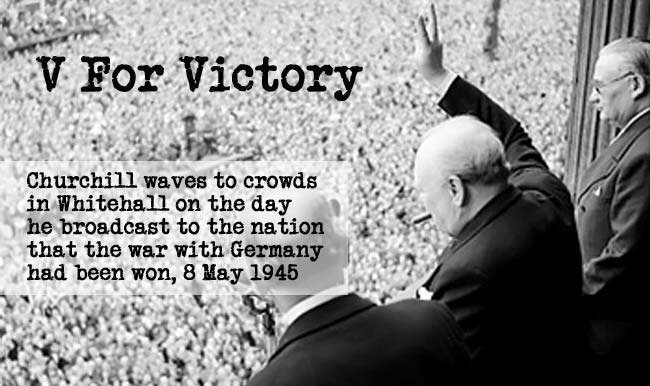 What is Victory In Europe day? 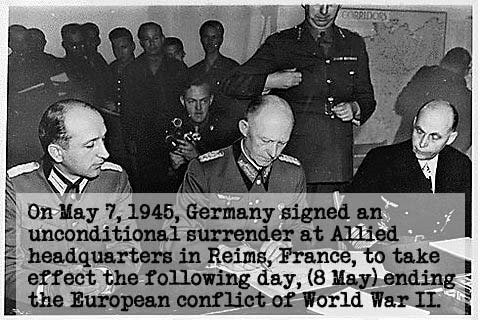 On May 7th, 1945, in a little red schoolhouse in Reims France, “the Headquarters of the Allied Force” Nazi General Alfred Jodl signed an unconditional surrender of Germany in Europe. The surrender was to take effect the next day on May 8th, 1945 when Charles De Gaule would announce the end of the war in Europe. It marked the end of Adolf Hitler’s war and when news broke the next day, it ignited celebrations around the world. Hitler had already committed suicide by this time. In London alone, over a million people gathered in Trafalgar Square all the way up to Buckingham Palace, where Winston Churchill, Queen Elizabeth and her father King George VI, appeared on the balcony of the palace to cheering crowds. In the United States, over 500 thousand people gathered in Time Square to celebrate and in France huge crowds went to Paris to celebrate. For some of the allied countries, V-day is a public holiday with a lot of Fanfare and military parades while other countries don’t make a thing of it at all. In France, Victory in Europe Day “jour de la Victoire en Europe”, is a Patriotic public holiday celebrated on May 8th. Banks and most businesses are closed. Supermarkets are closed or close early. There is no school and the buses and trains run on a special holiday schedule. Depending on which city you are in, you might see parades, flags, wreaths and flowers to commemorate soldiers lost to the war and victims of the Holocaust. 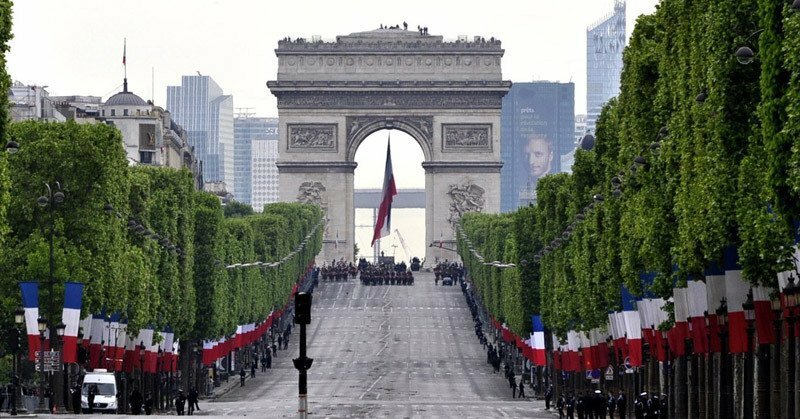 In Paris, there is usually a special celebration along the Champs-Elysees attended by Veterans and the French President complete with a military parade and a wreath-laying ceremony at the tomb of the unknown soldiers which lies directly beneath the Arc de Triomphe. Pictured above is a very small celebration in the small French town we lived in Provence. You might be interested in reading about all the other french holidays that happen in May. In Russia, Armenia, Latvia and other former Soviet States VE day is mainly known as Victory Day, celebrated on the 9th of May for the defeat of the Nazis in 1945. President Vladimir Putin called it the country’s “biggest holiday”. It’s also known as “The Great Patriotic War” in Russia. Germany celebrates Victory in Europe day on the 8th of May but they call it “Liberation Day” to celebrate liberation from the Nazi government and Adolf Hitler’s Third Reich. May 8th is observed but it’s not a public holiday in the US. 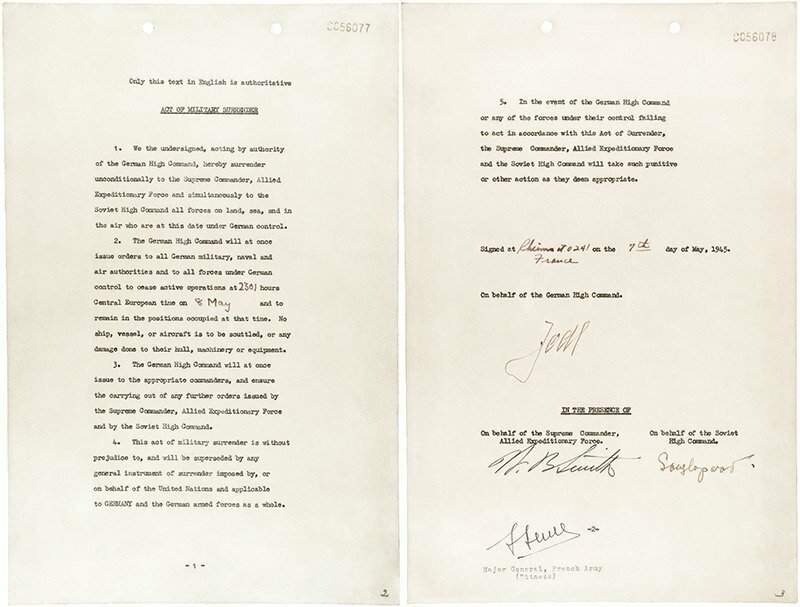 After the surrender of Germany, the war continued in the Pacific for another 4 months until the atomic bomb was dropped on the Japanese cities Hiroshima and Nagasaki which made their surrender inevitable. Victory Day also known as VJ Day in the US (J is for Japan), commemorates the victory over Japan and their surrender on August 15th, 1941 calling an end to World War II for good. Because of the controversy behind the atomic bombs, the US does not celebrate victory day with the exception of Rhode Island where it is celebrated on the second Monday of August each month. 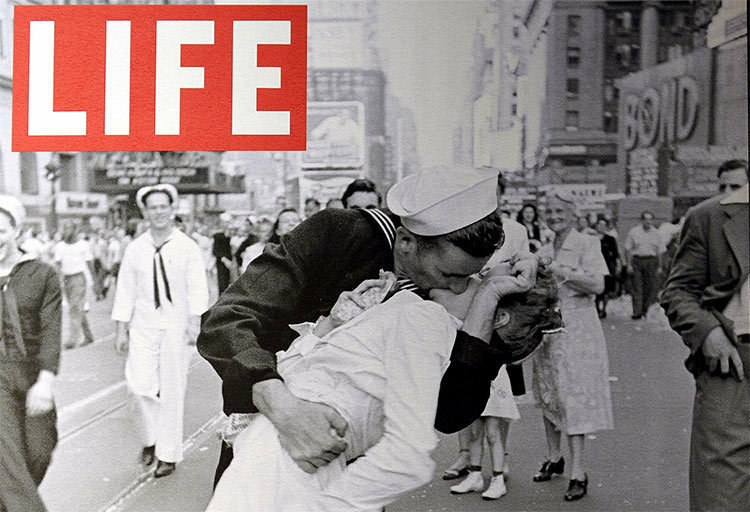 There was a famous photo published in Life magazine which featured a sailor returning home from the war and kissing a woman in times square. It was taken on August 14, 1945—VJ day.